Interested in learning more about ruzuku? Join us for a webinar! Thursday, September 1 at 3:00 PM EDT. Register now! 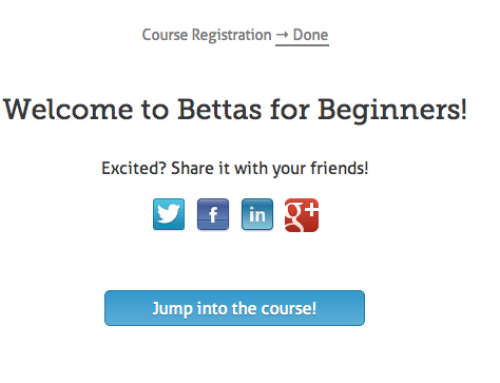 We’ll be going over the basics of course creation, scheduling and pricing, and some handy tools you can use to make your course as engaging as possible. It’s also a chance for you to ask questions and chat with the ruzuku team. 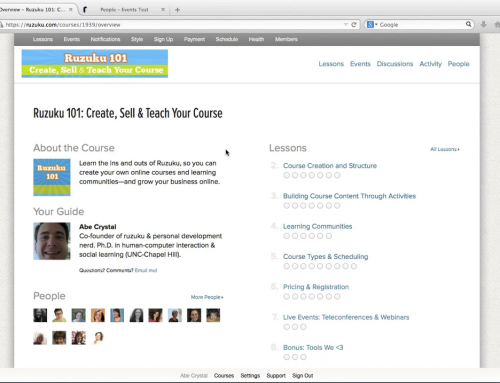 If you missed our last webinar, or if you’re new to ruzuku, this demo is a great introduction to ruzuku and how we make it easy to help you create online courses and learning communities.